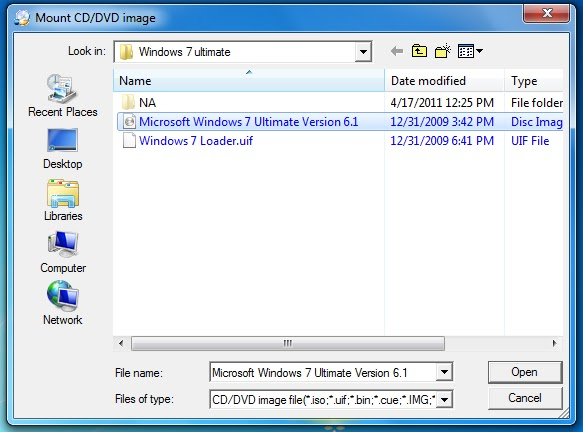 When we thinks of formatting our machine and re-installing the OS , most of the time we don't have spare DVD/CD with us or software image file. 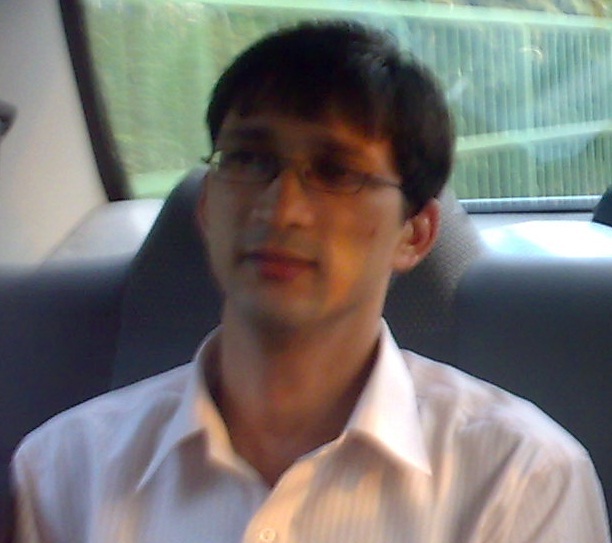 But if we have Usb stick we can install Operating system , by making USB bootable. 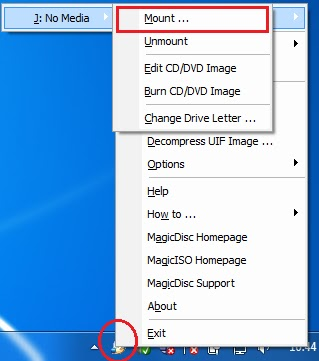 Follow the below procedure to Install windows XP/Vista/windows7. 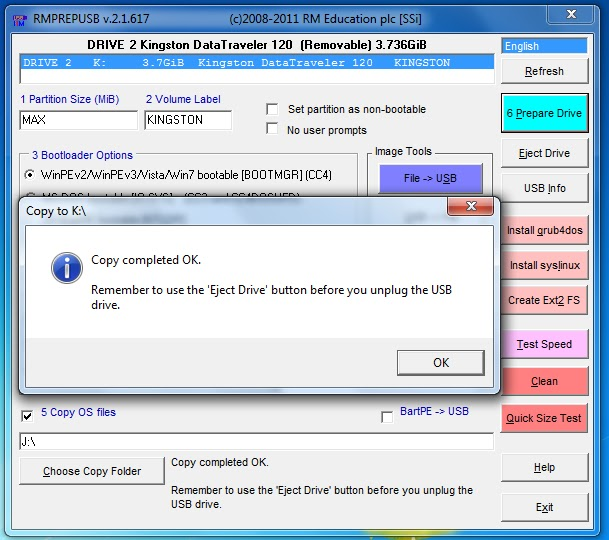 Step 3 : Plugin the USB Stick and backup data in it before formatting. Step 4 : Run the RMPrepUSB.bat file from RMPrepUSB folder. 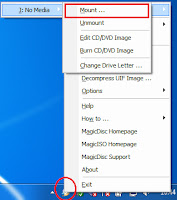 Step 5 : Now boot the machine and press F12 to choose the booting media and from navigation keys slect removal storage and system will boot from USB stick and OS installation will start. P.S: Just experimented over my system last week and it worked :).